Appliances are designed to make life easier. However, when they break down or function inefficiently, they can cause a lot of stress. That is why Mr. Appliance provides timely services to get your appliances up and running again. Our local appliance repair techncians in Missouri Bootheel will inspect the system, diagnose the problems, and provide fast repairs so you can get your life back on track. Whatever your situation, we have the experience to fix the issues and leave you satisfied. Our team can work with a variety of makes and models. If your dishwasher has sprung a leak, or your refrigerator has stopped working, we will fix the problem quickly to protect your home. We also offer services for commercial businesses. For all your appliance issues, trust Mr. Appliance to provide a cost-effective solution! Call us today at (573) 768-8336 to schedule an appointment. Mr. Appliance has been a respected appliance repair company for more than 20 years. 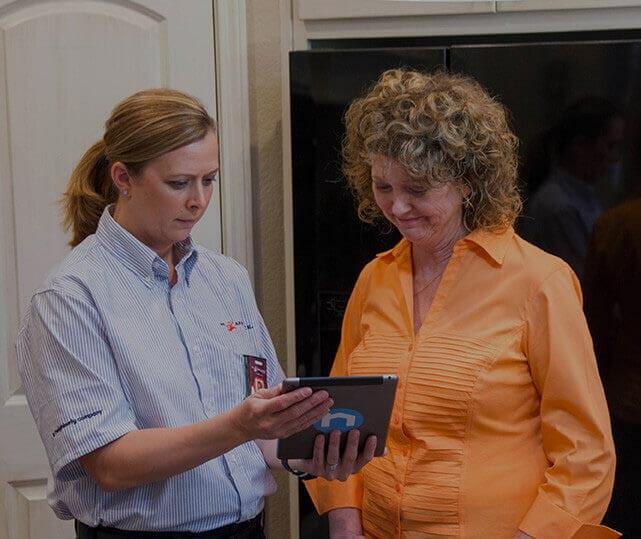 Our team has served countless residential and commercial customers, and we are proud to be a national franchise. At Mr. Appliance, we have not lost our commitment to hard work, honesty, and great customer service. If your appliances need to be repaired, we will get the job done right the first time. Furthermore, we will clean up after ourselves once the job is finished. We are committed to your satisfaction, and won’t start a job until we have your approval. Our Missouri Bootheel appliance repair specialists will communicate honestly and clearly with you from start to finish, and will answer any questions you may have. If your appliance has broken down, don’t waste time and energy trying to fix it yourself. Contact Mr. Appliance today by calling (573) 768-8336, and learn how our team can help!